It’s reassuring to finally hear something from THQ about this badass third person shooter. 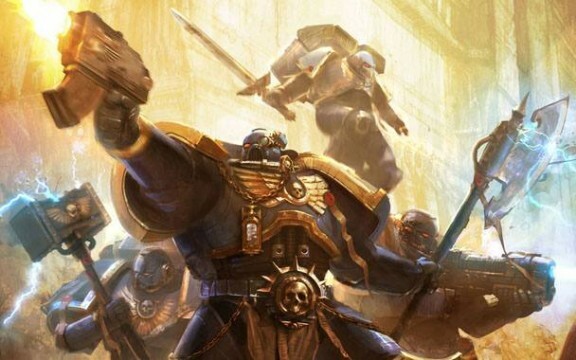 For once the general public MIGHT not laugh at you if you mention Warhammer or Boltguns – simply because this is the first real move away from the PC based strategy games and as a consequence, a further step away from the nerdy (and I should say probably unfair) stereotyping of miniature collectors. Space Marine feels and looks like Gears Of War, and it fulfils that secret fantasy of being able to actually be a Space Marine, complete with their ridiculously exotic arsenal of weapons. The developers told OPM a while back that their game will appeal to a very wide audience, and that they want to give the player that feeling of being ‘an unstoppable force on the battlefeild’. If all things continue as planned we’ll have this game by the time the summer truly starts stretching its bright limbs. Until then have a peek at the gameplay and see what the guys have been up to, still think those miniatures are lame?